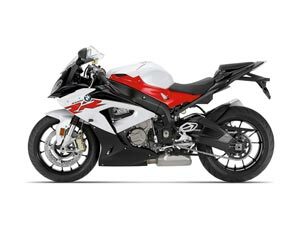 MY18 S1000RR Race - red white and black - our last BRAND NEW gen 3 bike left for sale, the race gives you everyhing the sport model gives, and more, forged wheels, full road legal Akro system, single seat for cheaper rego, Making it lighter and faster, grab a bargin now.^^Call us today, we have friendly and experienced sales people, parts and accessory specialists, fully trained Master Technicians all under the one roof. Visit us for a dealership experience like no other, we've been in helping people onto new and used motorcycles in Australia for over 56 years! We can help you with competitive finance, insurance, warranty and freight to almost everywhere in Australia. ^^When you purchase a motorcycle from us, you are buying from the 2018 and 2017 metropolitan dealership in Australia. We continue to exceed your service expectations and fulfill your dreams of motorcycling freedom as we have since 1962.